I started on a new project yesterday out at the beach. This home is getting a total remodel and the vaulted ceiling is going from a very dark heavy wood look to a lighter and more beach like driftwood look. 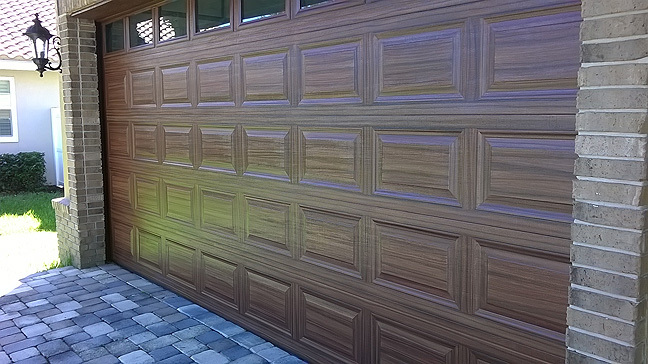 In the first picture you can see the base coat color that was painted over the dark wood. 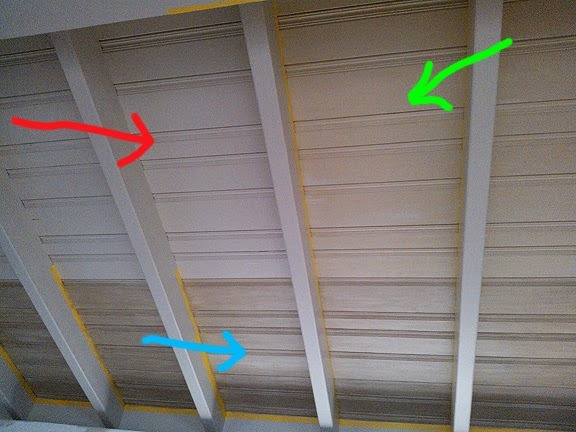 In this next picture the red arrow shows the base coat color, the green arrow shows the first color of wood grain and the blue arrow shows the second darker gray color of the wood grain. 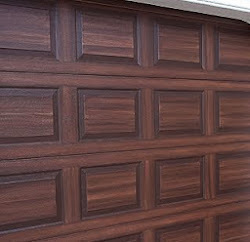 The second color indicated by the green arrow is a warmish gray to add a touch of warmth over the base coat light gray. As always when I am creating a wood grain look I use a transparent glazing technique so that the underlying layers show thru. 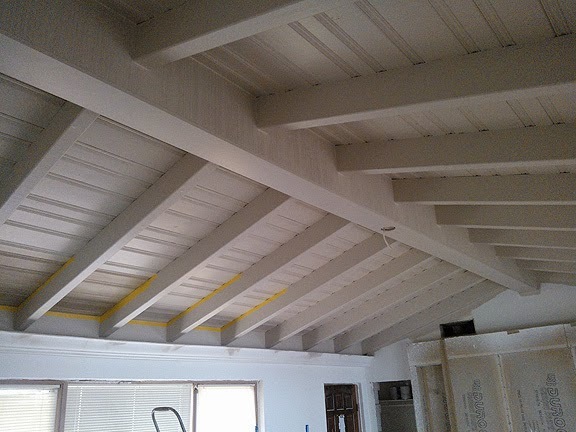 One of the challenges on this project is the space between the beams is very narrow. The beams are 24 inches on center so there is less than that between them. It's difficult to get an uninterrupted paint brush stroke across that narrow of a space. Basically you have to start your stroke on one side and go across and then start on the other side and meet in the middle. But you want to see a smooth grain going across the space so you have to blend the grain pattern coming from two different directions together. I was able to do that but it's much easier when you have at least 3-4 of space to work with, it helps with feathering one stroke into the the other.